The Walking Dead returns on February 12 and AMC has started to pull back the curtain. 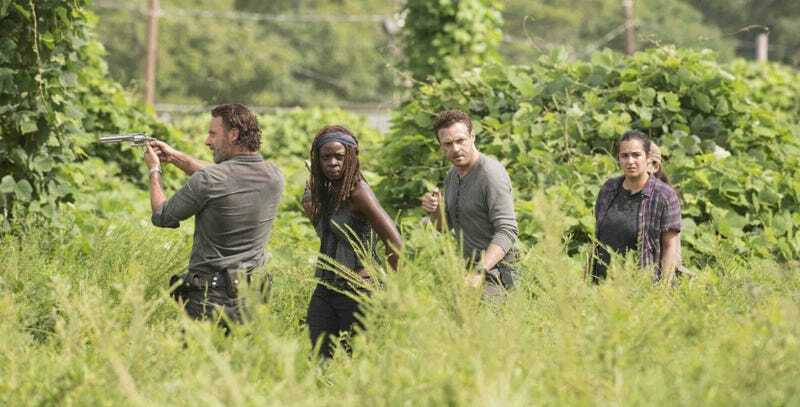 The network has released three new images from the second half of the seventh season, as well as an uncharacteristically detailed plot description setting up everything that’ll happen. Well, there you go. No punches pulled there. Rick is declaring war on Negan and preparing to do just that. Here’s the question, though: What do you want to bet that war doesn’t happen until next season, and this season ends with everyone on the way to attack or something? Oh God, please no more cliffhangers. In addition to the photo above, here are two more images which tease what’s up in the premiere episode. Mainly a visit to the Hilltop.